Home Blog National Vanilla Milkshake Day! Happy National Vanilla Milkshake Day! While we won’t tell you forgo your meal plan in honor of celebrations, we can condone substituting a vanilla protein shake. 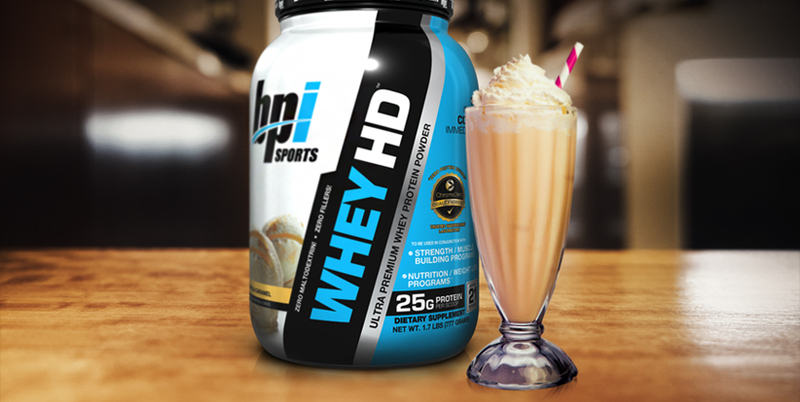 Our Whey HD™ powder is so creamy and delicious, you won’t even be able to tell the difference! Add almond milk, vanilla, protein powder and stevia to blender. Blend on medium high for about 1 minute. Scrape down the sides of the blend to make sure all of the protein powder has been incorporated. Add ice cubes and blend on high for 1 minute. If you like a thicker shake, add more ice. Pour shake into a serving glass and top with whipped cream.